What part does visualisation plan in the way in which you learn? And, more pertinently, how can we incorporate visualisation techniques into school systems that predominantly rely on language as the channel for information transmission? 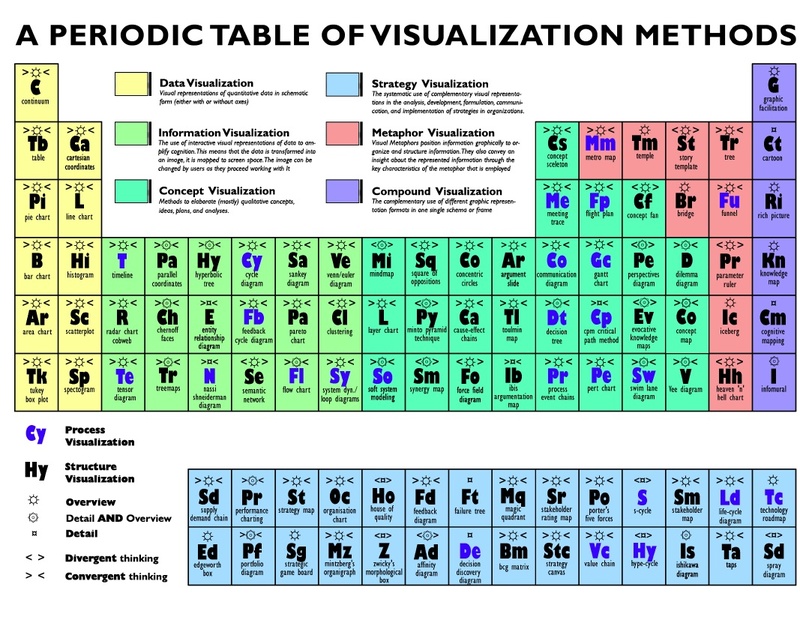 This periodic table of visualisation methods opens up a range of strategies and tools that could transform learning. With thanks to Lenger & Eppler at Visual Literacy. The recent brouhaha over the ways in which History can be learned, and the official dogma of what learning, teaching and education should contain, would seem – like the strictures of Animal Farm – to prescribe what is Good about teaching and proscribe what is seen to be Bad about learning.